with a one time text message. Work online or on your mobile device. 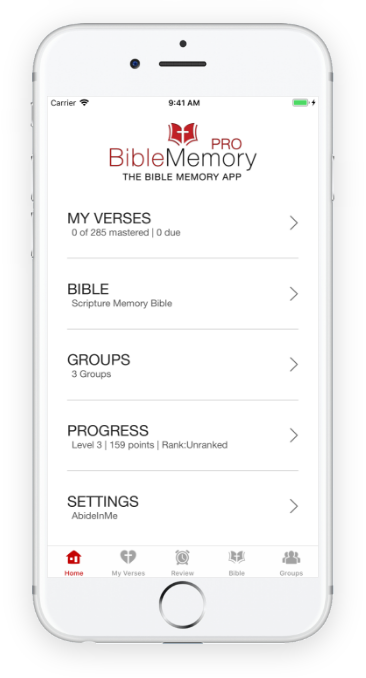 The Bible Memory App is the only complete Bible memory system that makes it easy for you to Memorize, Organize, and Review verses. You can even memorize and review verses while reading and studying your Bible, all in one app! • Visual Memory: Draw Pictures and use Flash Cards (*PRO features). Animated Word Emphasis feature accentuates each word to ingrain it into your memory. 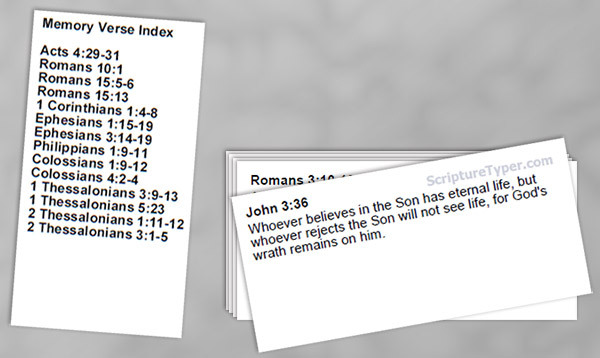 The Bible Memory App is also the only Bible memory system you can access across all mobile devices and online, at BibleMemory.com. Your progress stays in sync between all of your devices, so you can memorize anytime, anywhere. Even without the Internet! Make Bible memory easy. Get The Bible Memory App today! Bible Memory Kids makes Bible memory fun and easy. Kids can memorize by themselves, regardless of reading level! Even pre-readers can memorize God’s Word! Each passage has beautifully illustrated artwork and exciting music to accompany every verse, carefully designed to hook the verse in long term memory for easy recall. You can also add your own verses to memorize! Kids can type their verses, as well, if desired. Only the first letter of each word is typed. The light-up keyboard highlights exactly which key to type, helping even young children to catch on! In addition to memorizing Bible verses, they’ll also learn the location of each letter on the keyboard. You’re kids will learn typing skills while memorizing God’s Word! Give your child a strong foundation, and equip your child for life in Christ. Get Bible Memory Kids today!